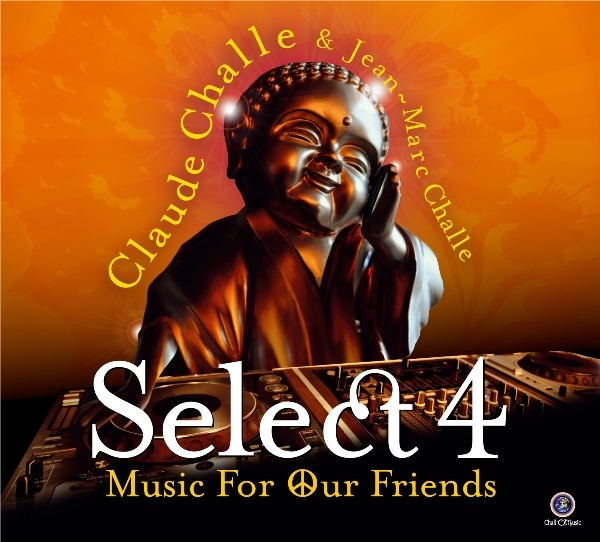 Claude Challe & Jean-Marc Challe present their brand new compilation album 'Select 4: Music For Our Friends'. 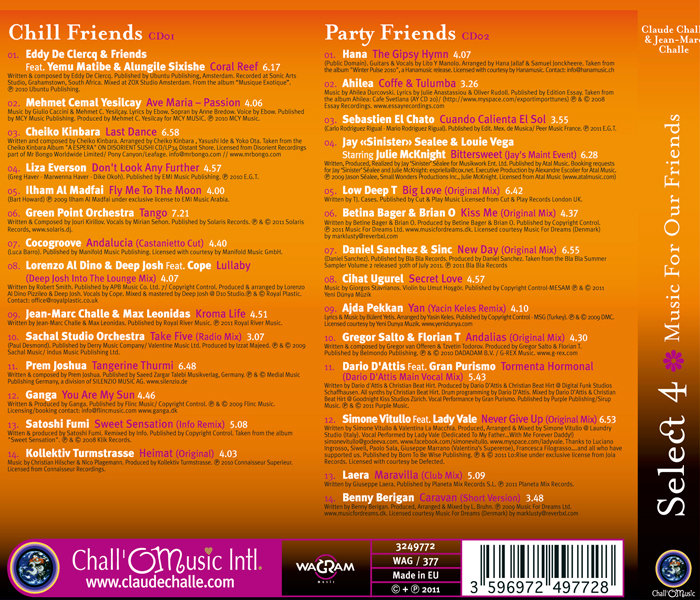 'Select 4' is a 2 CD set release featuring the duo's current selection of tracks for chilling and partying, including music from Eddy De Clercq & Friends, Green Point Orchestra, Ganga, Satoshi Fumi, Betina Bager, Low Deep T, Jay 'Sinister' Sealee, Louie Vega and a collaboration track between Jean-Marc Challe and Max Leonidas entitled 'Kroma Life'. 'Select 4' marks the 4th instalment of the'Music For Our Friends'series, featuring the Challe's brothers latest discoveries during the year. The album is set for release on October 24. Make sure you check out the Sachal Studio Orchestra's version on 'Take Five', originally performed by Dave Brubeck Quartet! !